Many of us are concerned about hearing loss–and for good reason. Hearing connects us to others. It’s the cornerstone of communication and other aspects of our well-being. Hearing loss can lead to feeling isolated and retreating from many of life’s most satisfying activities, such as just conversing with friends and family. But the right hearing professional can help keep your world crisp and clear. At The McGuire Hearing and Tinnitus Center, we focus on getting to know you and meeting your unique audiology needs. We pride ourselves on our personal service and commitment to hearing care, which extends far beyond offering the most advanced hearing technology available. Call us today at 937-353-7883. 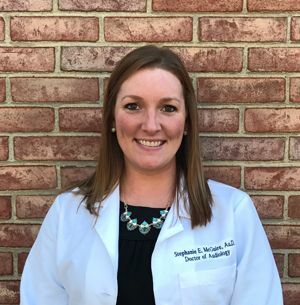 Dr. Stephanie McGuire, owner of The McGuire Hearing and Tinnitus Center, graduated from Ohio University in 2010 with her Bachelor of Science degree in Hearing, Speech, and Language Sciences. After graduation she attended the University of Cincinnati where she earned her Clinical Doctor of Audiology (Au.D.) degree in 2014. Throughout her career, she has showed her passion for Audiology by serving on the Student Academy of Audiology (SAA) Board of Directors, serving as Vice President of her local SAA chapter, and having a wide variety of clinical experience to further expand her knowledge in Audiology. Dr. McGuire is licensed in the State of Ohio, a Fellow of the American Academy of Audiology, a member of the Ohio Speech, Language, and Hearing Association, and is Board Certified in Audiology. Dr. McGuire understands the needs of her patients and the affect hearing loss can have on an individual and a family. She grew up in a family with hearing loss and witnessed first-hand the challenges hearing loss brought to the table, for both the individual and the family. After going to countless Audiology appointments with her siblings and seeing her father learn and adjust to having hearing aids she decided that she wanted to be an advocate for others who suffer from hearing loss and provide them with the gift of hearing. 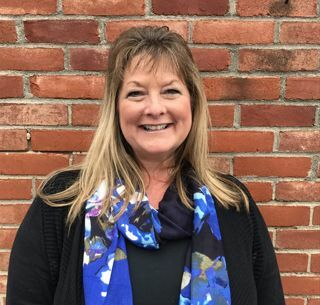 Pam Heckman started working in Audiology as the front desk coordinator in June 2015 and is now the office manager for The McGuire Hearing and Tinnitus Center. She has come to us with over 33 years of experience in IT, communications, and customer support background. Pam thoroughly enjoys working with patients and her biggest goal is to make sure patients are satisfied and happy at the end of the day. Pam wears hearing aids herself and understands the frustrations that may arise with hearing loss. She goes above and beyond to listen and help out with the patient’s needs. Pam resides in Miami Township and enjoys swimming, walking and spending time with family and friends. She enjoys working with her customers and selling Mary Kay during her weekend hours.